The Crafty Comrade: My Dad's famous! Well sort of. 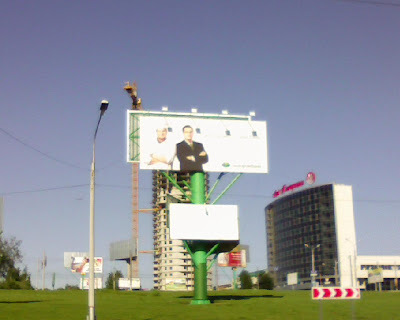 He has his own billboard and is on a bank atm ad in Perm, Russia. I don't have my own billboard nor do I advertise for any bank so I think this is pretty cool. Also I wish I had a wish I had a white chefs hat like the one he is wearing. By the way he is the chef. Don't know if I made that clear. 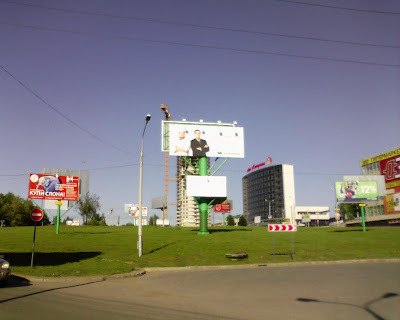 Here is another one of the billboard. Cool, huh. 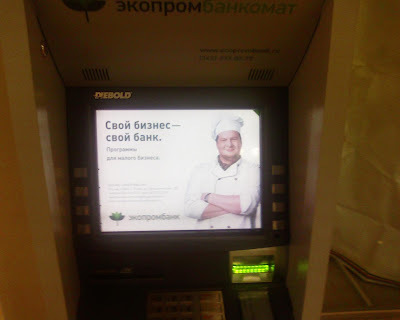 On the ATM photo, it says "Your business, Your bank" in Russian.